Breathing can sometimes be abnormal from birth. In a rare genetic condition, often referred to as Ondine's curse, this can be very serious and have important consequences. What is Ondine's curse? Explore some of the potential causes of congenital central hypoventilation syndrome and how it can be effectively treated. 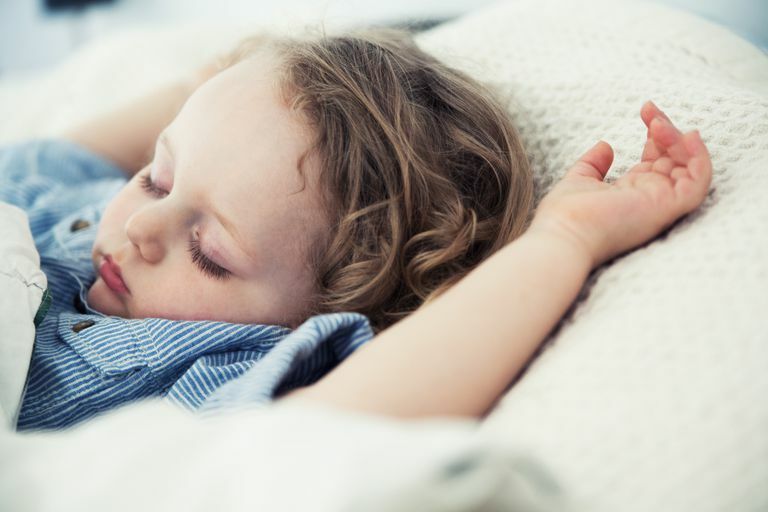 Ondine’s curse (also known as congenital central hypoventilation syndrome or CCHS) is a rare, severe form of sleep apnea in which the affected individual completely stops breathing when falling asleep. It is usually congenital, meaning that it is present from birth. It may be noted in the neonatal unit after delivery. Central sleep apnea is characterized by the brainstem failing to prompt normal breathing. This seems to be due to a decreased responsiveness to high levels of carbon dioxide and low oxygen levels within the blood. This becomes especially dangerous during sleep. Ondine’s curse is named after a mythical story about a heartbroken water nymph who curses her unfaithful husband to stop breathing should he ever fall asleep again. In medical terms, central hypoventilation represents an extreme form of sleep apnea. Central hypoventilation affects about one in 30 million people, which means only several hundred people have it in the world. As such, it is considered to be an extremely rare condition. A genetic mutation appears to be the underlying cause. It is thought to occur when the brain fails to prompt breathing, as may also be seen in central sleep apnea. This condition may be present from birth or it may develop after damage to the brainstem, which controls the drive to breathe. Central hypoventilation may be associated with difficulty swallowing, intestinal problems called Hirschsprung’s disease, or tumors called neuroblastoma. Though the condition usually occurs sporadically, there may be a genetic tendency that runs in families. Relatives may have a milder form of dysfunction that affects the autonomic nervous system. The underlying problem seems to be due to a mutation in the PHOX2B (4q13) gene. Most involve an expansion of a genetic repeat from 20 bases (called alanine) to 25 to 33 bases. In about 10% of cases, other mutations at the same location seem to play a role. Most affected individuals have an onset shortly after birth. It has been reported to start later, however, with even adult cases documented. Symptoms may be brought out in milder cases with the use of anesthesia or sedatives. Treatment of this condition involves the use of a ventilator connected to a tracheostomy tube at the front of the throat whenever the affected individual goes to sleep, even during naps. If this were not used, someone with this condition could die anytime they fall asleep. Due to the nature of the treatment, families of those afflicted often become adept at managing the equipment required to maintain normal breathing. It may initially seem intimidating, but help within the hospital setting allows a smooth transition to treatment at home. Guidance from respiratory therapists, including at-home resources, can ease this adjustment. If you are interested in learning more about Ondine's curse, especially if you have an affected child, it is recommended that you consider consultation with a pediatric pulmonologist at an academic medical center. Due to the rarity of the condition, and the seriousness of the potential consequences, the care of a specialist will be initially required. It may also be possible to network with other affected families who are managing the condition. This social support may be helpful for many reasons. Reach out to get the help that you need from a specialist to optimize the health and well-being of your child and family. Amiel J et al. "Polyalanine expansion and frameshift mutations of the paired-like homeobox gene PHOX2B in congenital central hypoventilation syndrome." Nat Genet 2003;33(4):459-461. Chen ML, Keens TG. "Congenital central hypoventilation syndrome: not just another rare disorder." Paediatr Respir Rev 2004;5(3):182-189. Faraco J and Mignot E. "Genetics of Sleep and Sleep Disorders in Humans." In Principles and Practices of Sleep Medicine, Elsevier, 2011, pp. 93-94. Could Your Excessive Sleepiness Be a Sign of Narcolepsy?